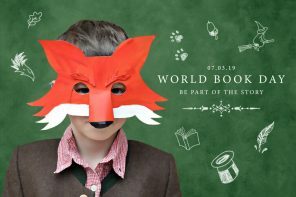 World Book Day brings the same challenge every year, and we’re here to solve it for you! 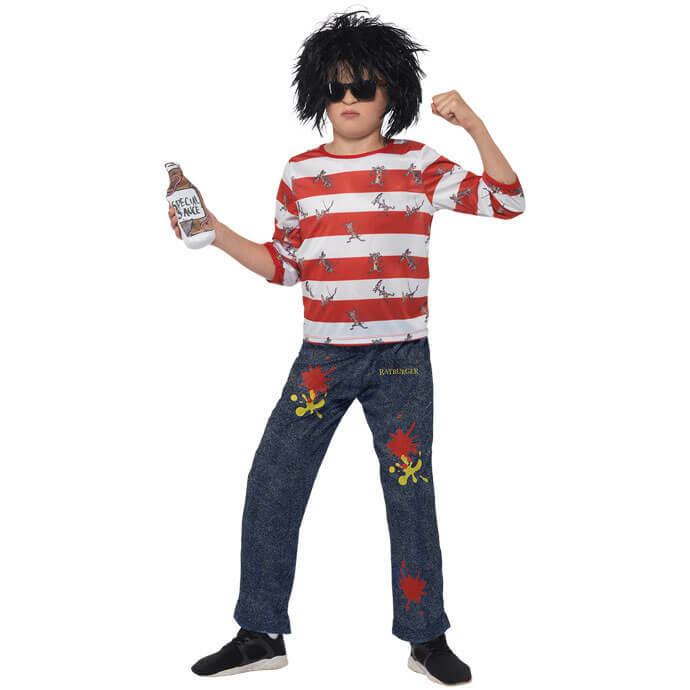 We’ll help you find fancy dress ideas that your child will love. A costume that their friends will think is cool. Something that’s comfortable and practical for a day at school. It could be a classic children’s character, or something totally different to anything they’ve worn in previous years. 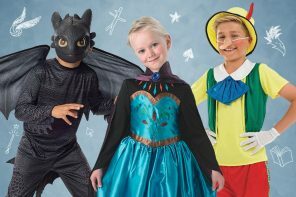 There are 48 costumes to choose from here, so you’re sure to find an outfit that fits the bill. Let the search begin! Probably the biggest children’s author in the country at the moment, David Walliams’ books have sold more than 25 million copies! He’s written at least one every year since 2008, so there are plenty of characters to choose from. 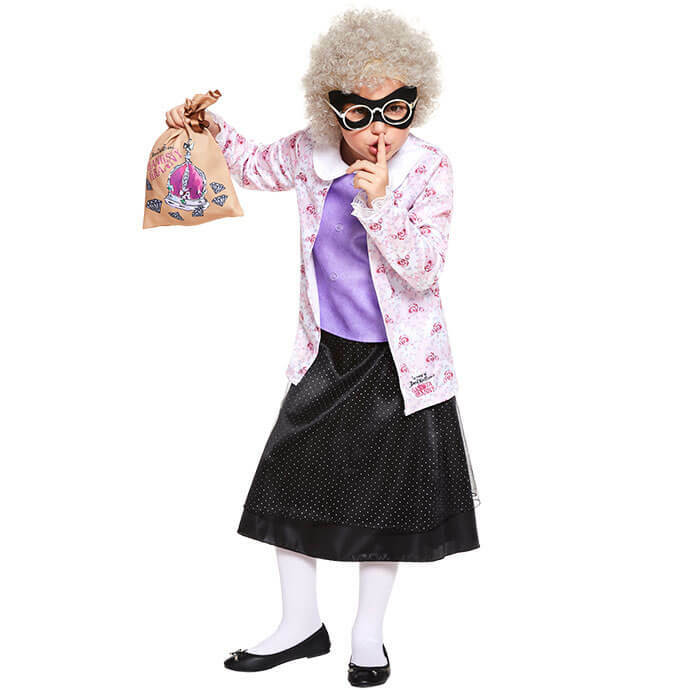 One of Walliams’ most popular characters, Gangsta Granny found a place in children’s hearts when she joined in with grandson Ben’s plan to steal the Crown Jewels. She’s a great choice for children with a bit of mischief about them! 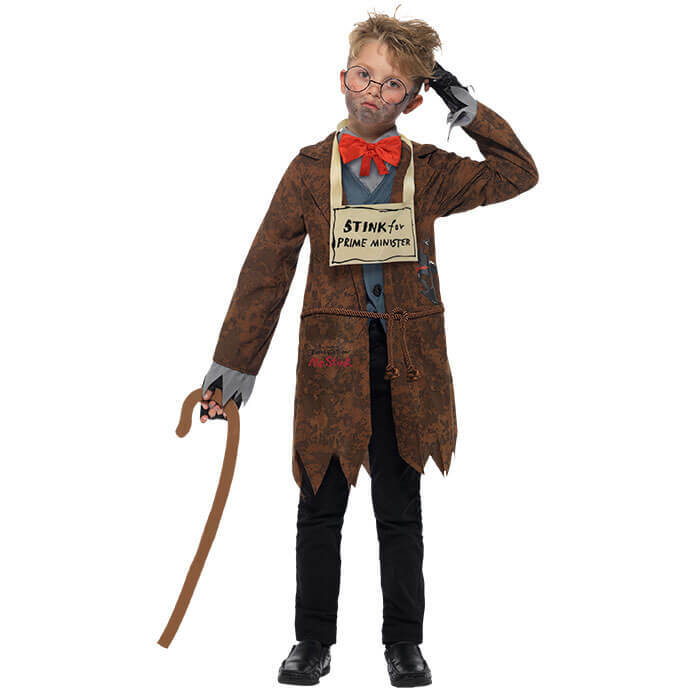 You’ll be pleased to hear that this Mr Stink costume doesn’t actually stink. That wouldn’t be practical. 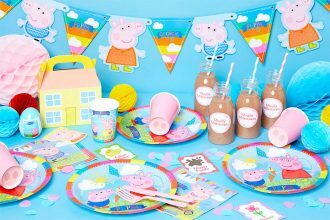 However, it does look exactly like the title character from Walliams’ second book, so we’re sure your child will love it! Grandpa’s Great Escape is one of Walliams’ most charming stories, and children across the country love the adventures of Jack and his World War II fighter pilot Grandpa. It’s also one of the most recognisable costumes for kids, as Grandpa’s Great Escape was part of the BBC’s Christmas TV schedule in 2018. Anyone who’s read Ratburger will know all about what sinister burger van owner Burt is putting into his burgers. If you haven’t read it yet, the title probably gives it away! Billionaire Boy teaches kids that money isn’t everything, and that’s a good lesson to learn. 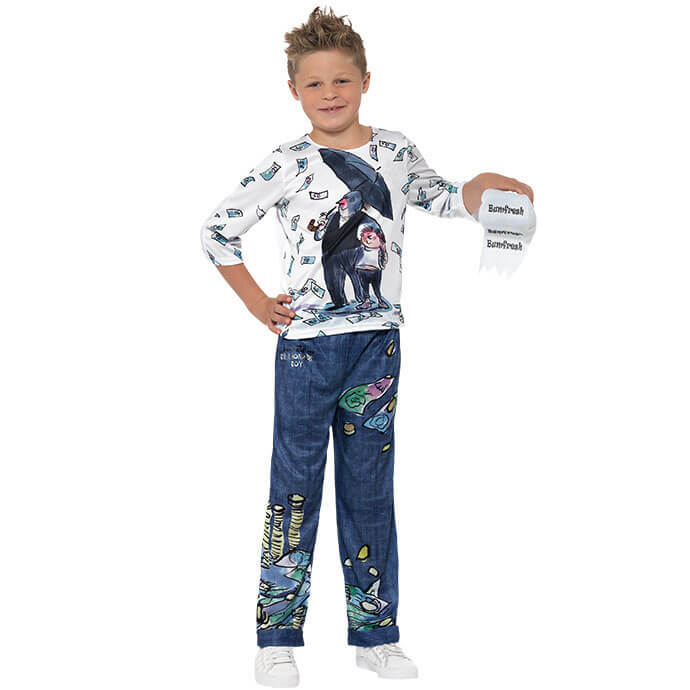 The billionaire boy himself is Joe, and this outfit features illustrations from the book, along with a prop toilet roll complete with sound effects! Awful Auntie is another of Walliams’ creative villains. Here’s horrible Auntie Alberta in her distinctive purple outfit and green hat, along with one of her scary owls! If we’re talking children’s books, we obviously have to look at Roald Dahl. 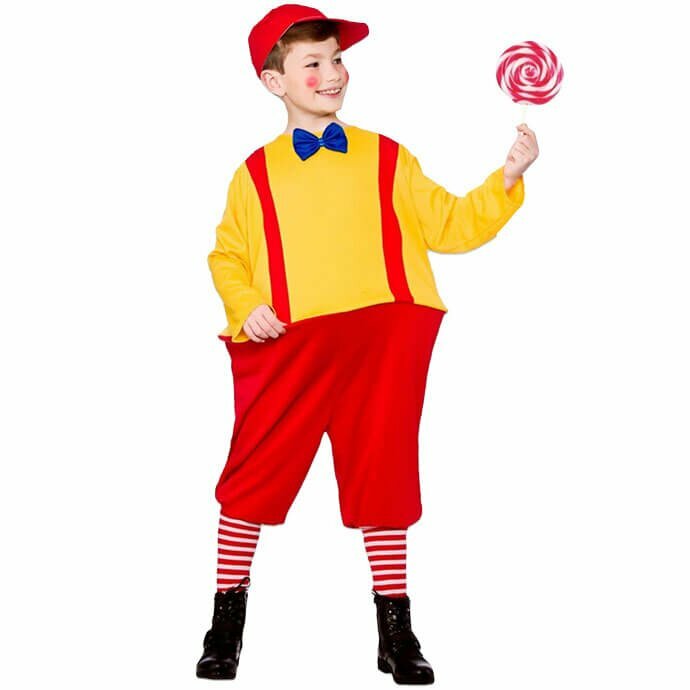 These classic characters are instantly recognisable, so everyone will know straight away who your child is supposed to be. If your child loves school, chances are Matilda is one of their favourite fictional characters. Not only is she the smartest girl in her class, she’s literally magic! 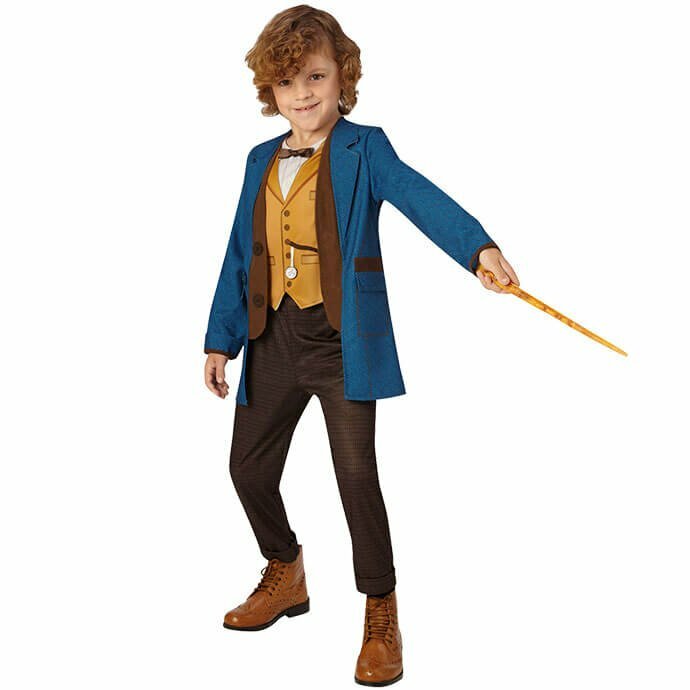 This costume even comes with props, in the form of a schoolbook and the newt that Matilda hides in Miss Trunchbull’s water. We hope your child’s teachers are nicer than Miss Trunchbull, although she has set the bar pretty low. 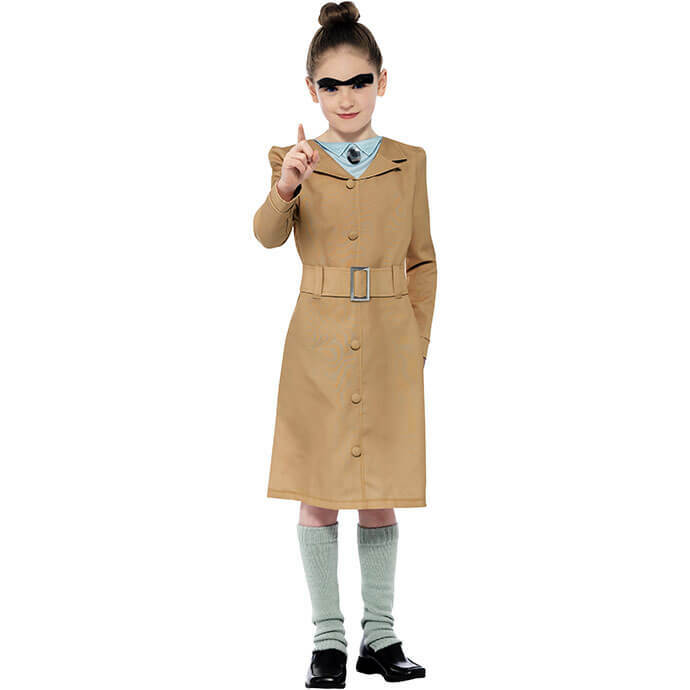 This costume will transform your daughter into the scariest headmistress of all time! 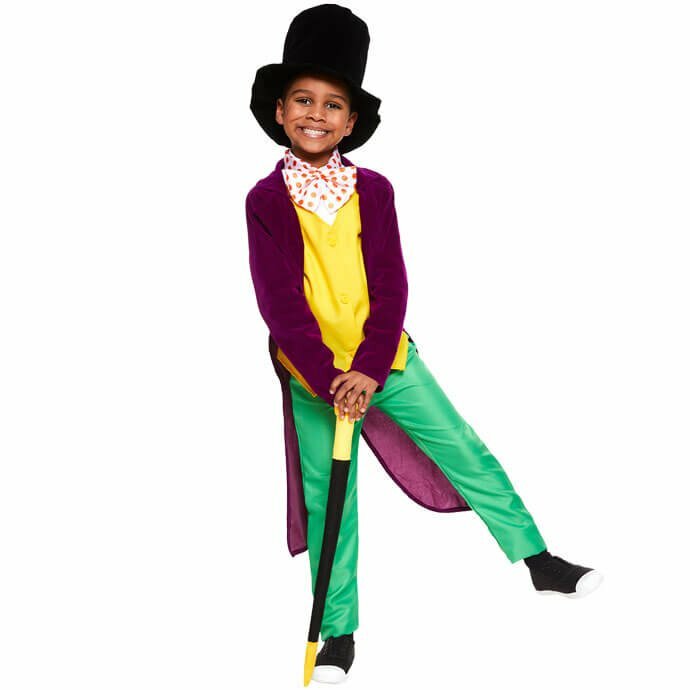 Willy Wonka is a great outfit for kids who love to show off a bit! The flamboyant chocolate factory owner is easily one of Dahl’s most popular creations, and we’re sure there are plenty of children who are jealous of his career choices. While Wonka gets all the attention, it’s easy to forget that it’s little Charlie Bucket whose name features in the title of the book. 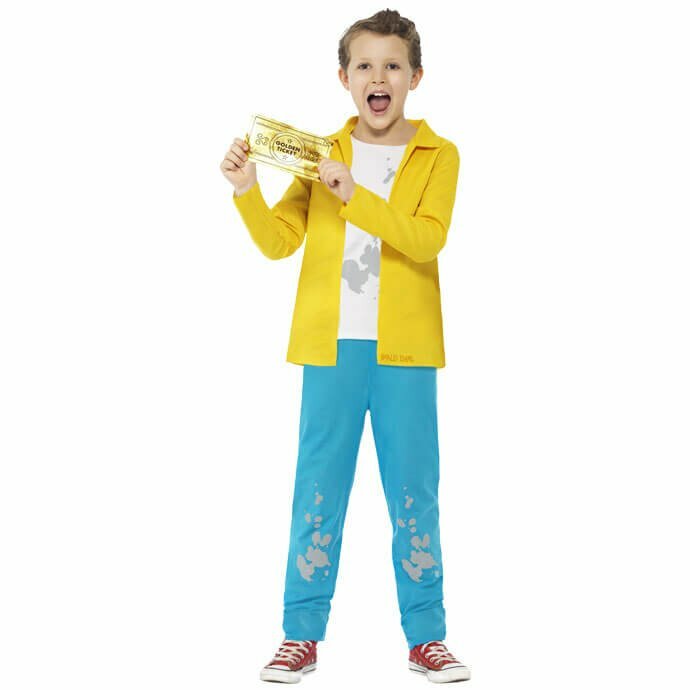 This outfit is your golden ticket to World Book Day success! 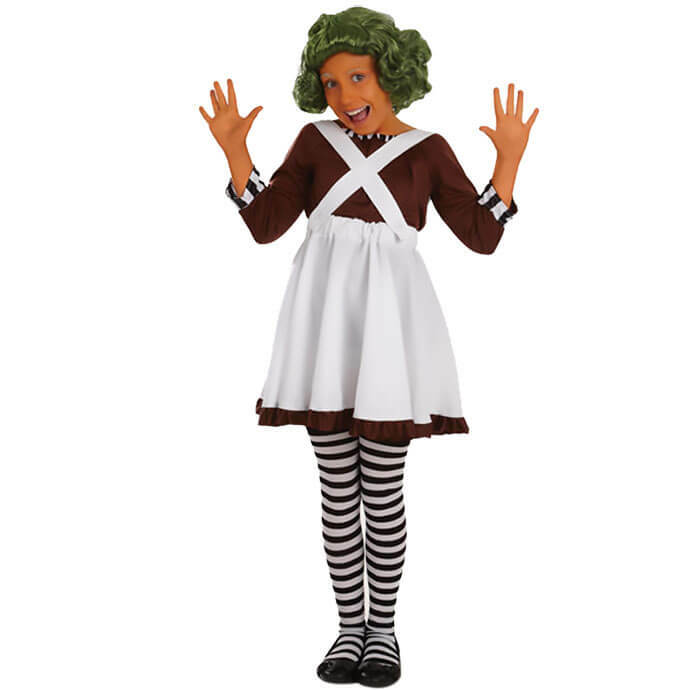 Before we leave the chocolate factory, we obviously have to mention the Oompa Loompas. Willy Wonka’s helpers have lots of great advice for kids, even if their punishments were sometimes a bit much. 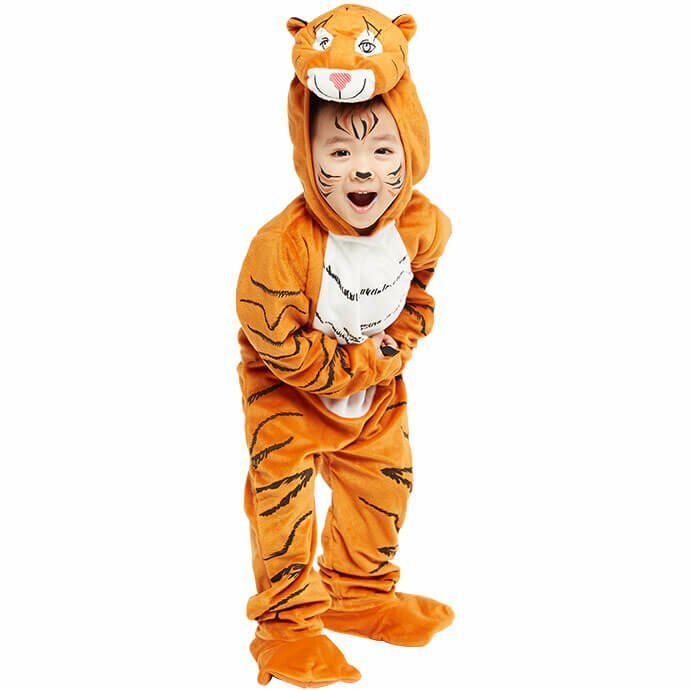 Clearly, if you go for this costume, you’ll need plenty of orange face paint as well! Here we have one of the more sharply dressed characters on our list! 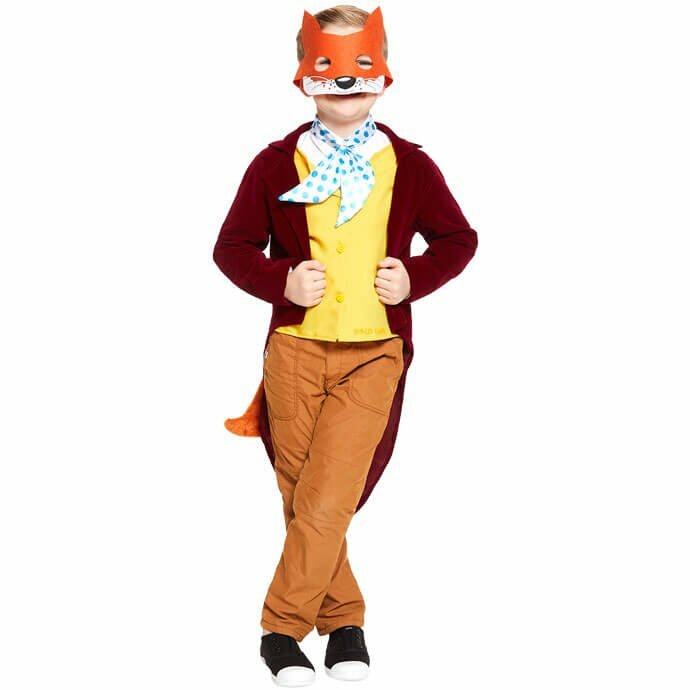 Fantastic Mr Fox certainly takes his work seriously, and he’s got his best suit on in preparation for getting one over on farmers Boggis, Bunce and Bean! Want to make your own mask? 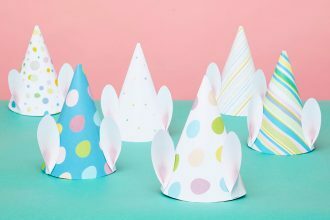 We’ve written this easy step-by-step guide for you, complete with free printable stencils! Who doesn’t love the BFG? 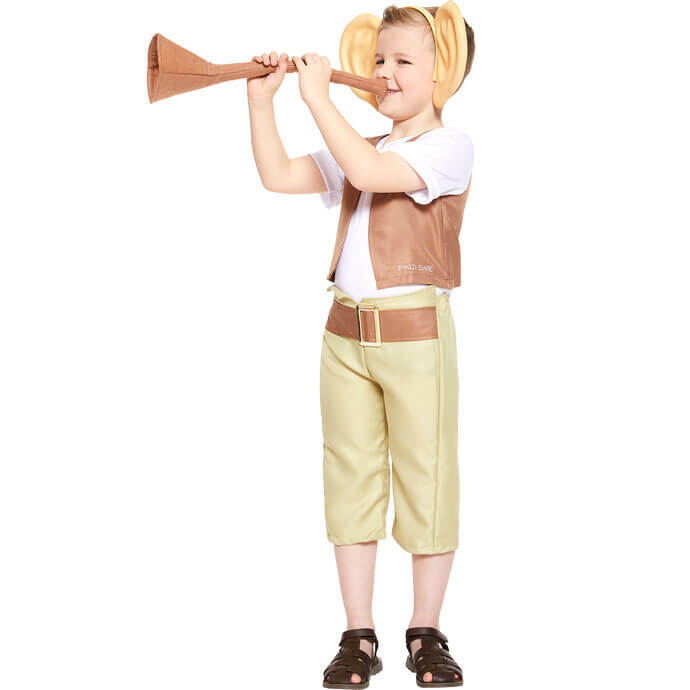 Your little one will have lots of fun with this costume, which comes with its own set of massive ears, as well as the BFG’s horn that he uses to deliver dreams. Of course, the real hero of The BFG is arguably little Sophie. 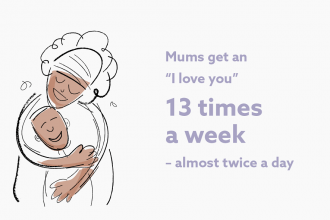 In fact, Dahl liked her so much, he named her after his mother! This outfit even comes with its own snozzcumber – good luck finding a decent recipe for it, though! 2018’s Fantastic Beasts: The Crimes of Grindelwald shows that the Potter universe isn’t slowing down any time soon, even if it does now play out largely on screen. J.K. Rowling’s characters, both from the original Harry Potter books and the Fantastic Beasts world, remain as popular as ever. 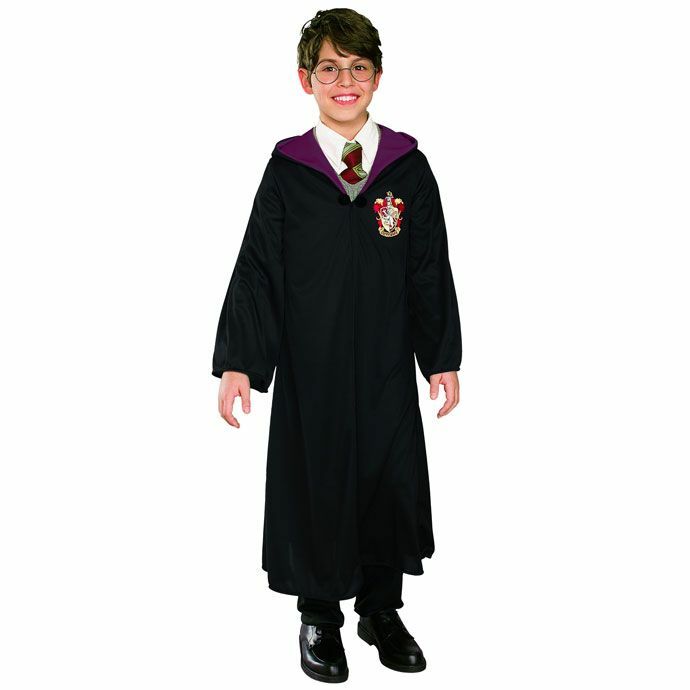 The original Boy Who Lived is the obvious choice if you’re going down the Harry Potter fancy dress route, and here he is! You’ve got the Gryffindor robes, as well as a whole range of accessories from glasses, wands and Hogwarts scarves to Harry’s famous Quidditch broomstick! Of course, Gryffindor is also home to the cleverest girl at Hogwarts; Hermione Granger! 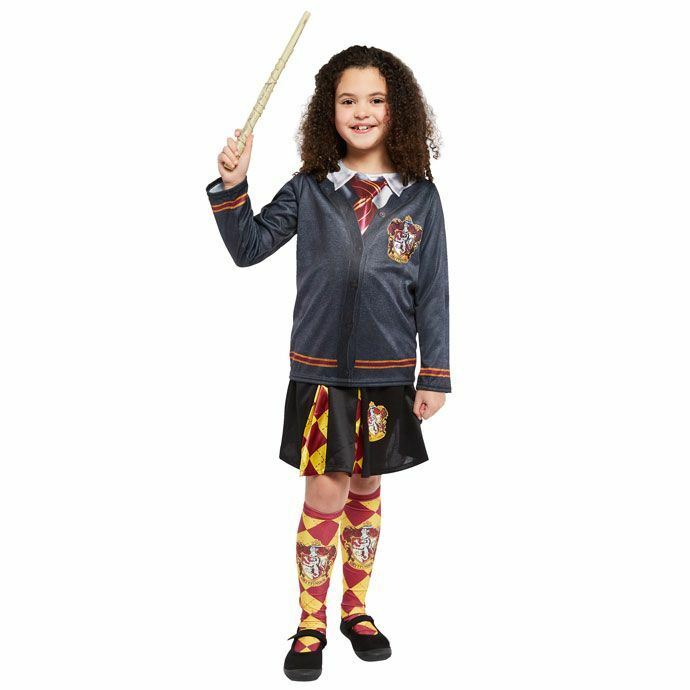 This girls’ school uniform is decorated in Gryffindor colours and the house badge. It really is top of the class! 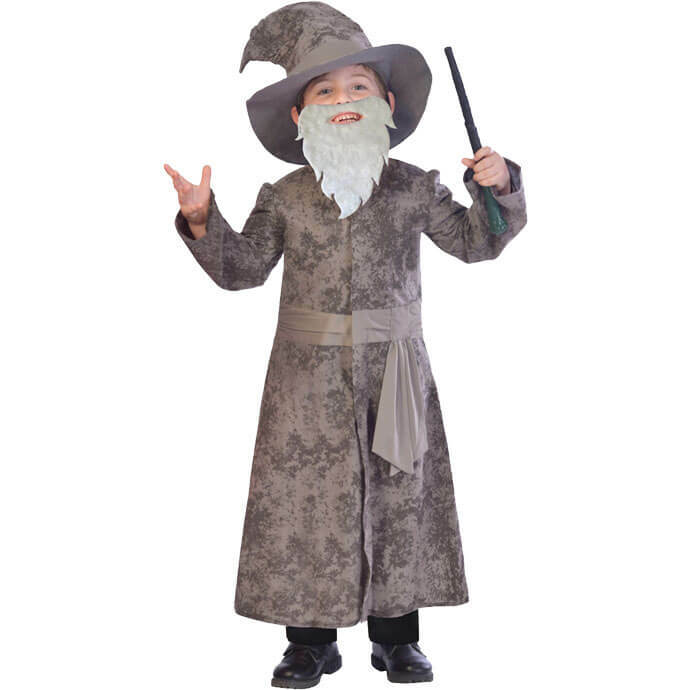 It seems appropriate to dress as a famous teacher for World Book Day, and in the eyes of many children, Dumbledore is the greatest teacher of them all! 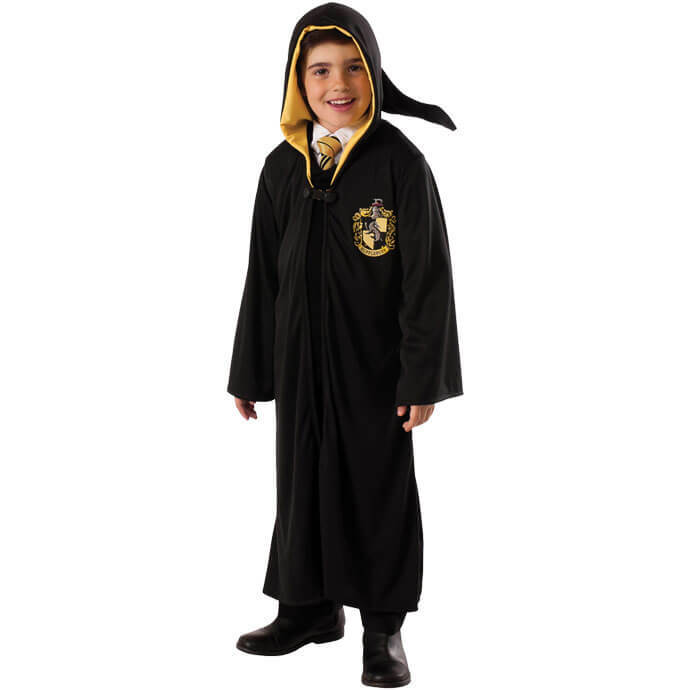 As you can see, he’s also rocking some pretty impressive robes, so this is a spectacular choice for World Book Day. As any serious Potter fan will know, Slytherins are fine now. It’s okay to like them. True, Malfoy is an exception to this rule, but he’s also the most famous Slytherin at Hogwarts during Harry’s school years. Malfoy’s a good option if you have blond Potter fans in the house, more than one child looking for Potter costumes, or if your child is planning on coordinating their costumes with a group of friends. Poor Cedric Diggory might have been taken out of the game by Voldemort just after winning the Triwizard Tournament with Harry, but he’s still by far the most heroic Hufflepuff we meet in the original books. Of course, he was also played by Robert Pattinson in the films, which we’re sure got the Cedric fan club a few more members. Long before he became a cinema star, Harry Potter fans will have recognised Newt Scamander as the author of the book that inspired the films, Fantastic Beasts and Where to Find Them. They’re also highly likely to have seen those latest films, so they’re sure to recognise Newt’s distinctive outfit. They’ll even get their own wand! Julia Donaldson has created a number of much-loved children’s stories since her first book was published in 1993. She was also the Children’s Laureate from 2011-13. 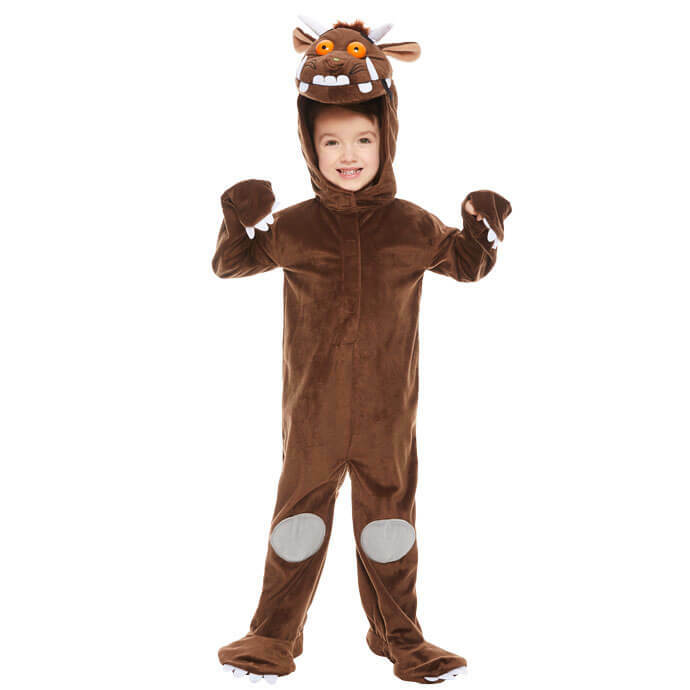 The mouse might not believe in The Gruffalo, but we certainly do! 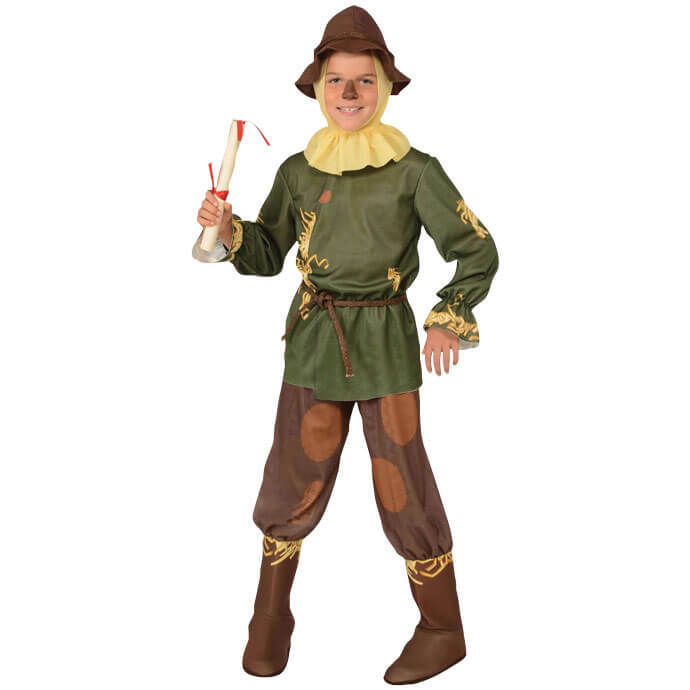 In fact, here he is ready to solve your fancy dress conundrum in time for World Book Day. We’ve even created this DIY mask that you can make in advance! It takes a special author to make a piece of wood the star of the show, but that’s what Julia Donaldson managed to do with the story of Stick Man! 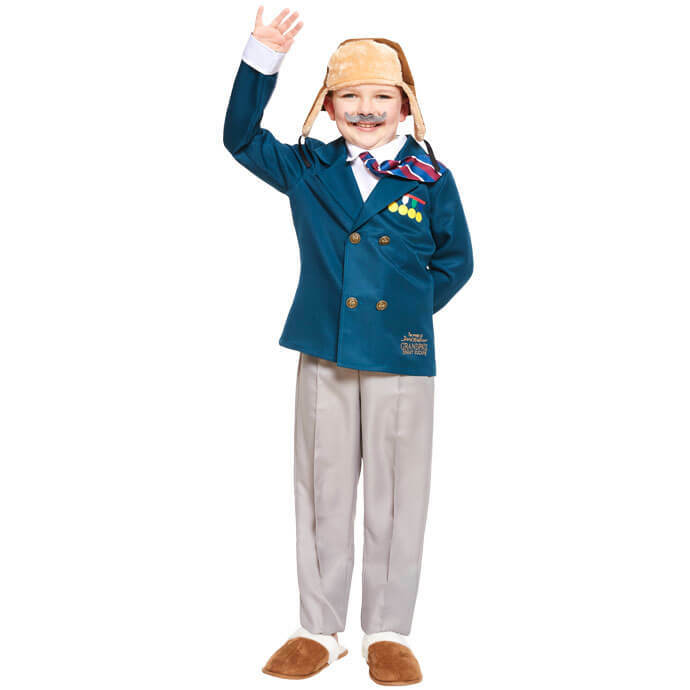 Send your child off on an adventure of their own with this comfy costume. Room on the Broom actually opens up all sorts of fancy dress possibilities. The Witch is the most obvious choice, but fans of the book will know that the broom also welcomes a Cat, Dog, Bird, Frog and Dragon – all you have to do is choose your favourite! 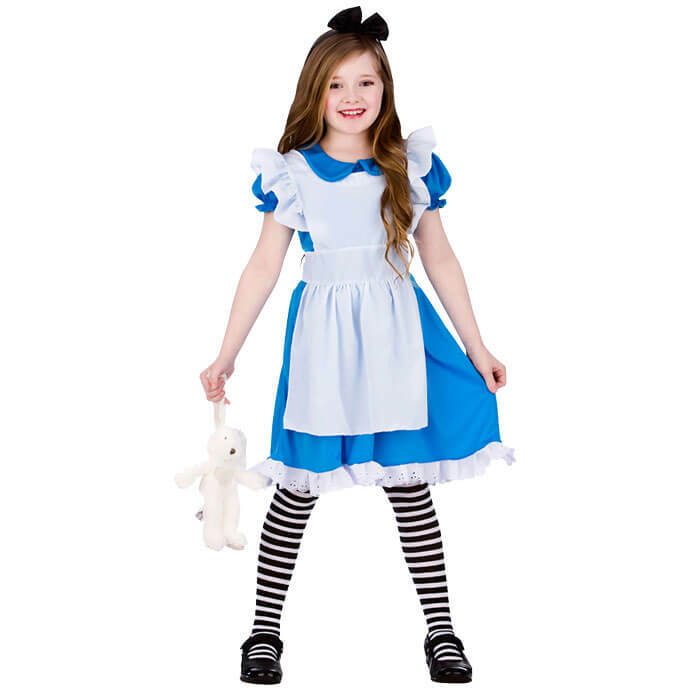 Lewis Carroll’s crazy world of Wonderland has introduced children to a whole host of unforgettable characters, and you’ll find costumes for all the best ones here! We’ve even got some step-by-step make-up video tutorials for you to try, too. The books are full of brilliant characters, but for many, The Mad Hatter will always be the best. In recent years, that’s probably partly down to Johnny Depp. 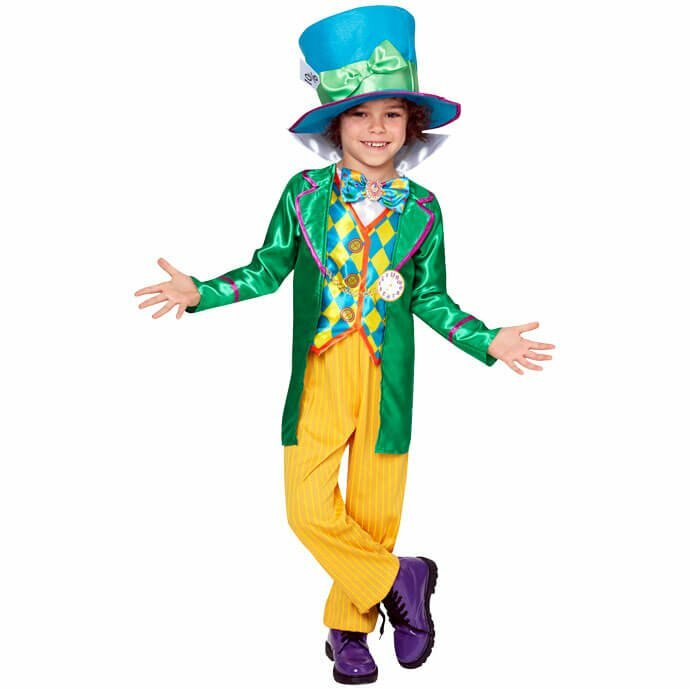 However, we think the Hatter has always had one of the coolest costumes around, and World Book Day is a great time to give it a try! You can even do your child’s make-up for them with this handy tutorial video! 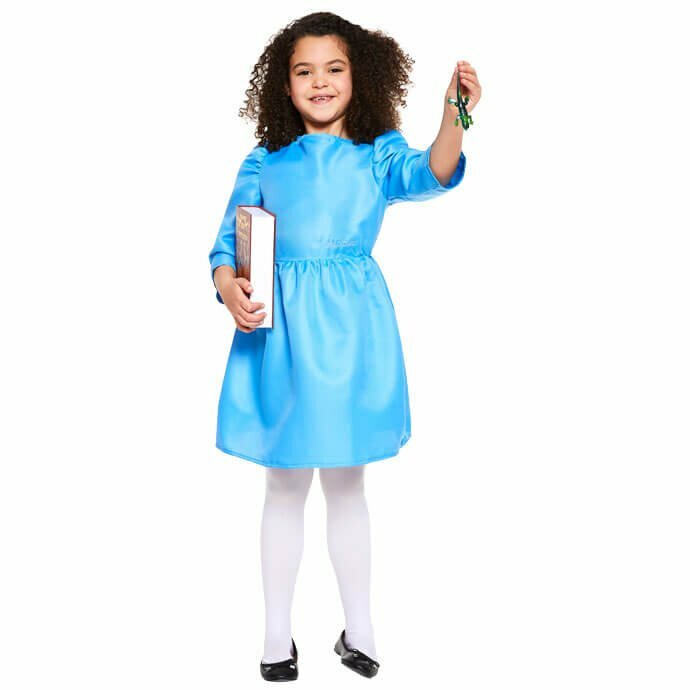 Kids all over the world love reading about Alice’s adventures, and we know there are plenty of little girls who would jump at the chance to be her for a day! 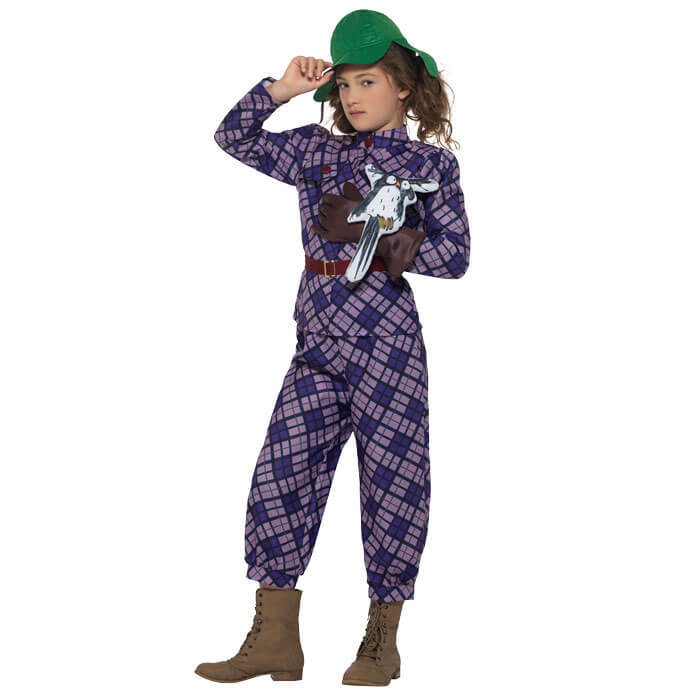 Here’s a costume that’s sure to stand out! 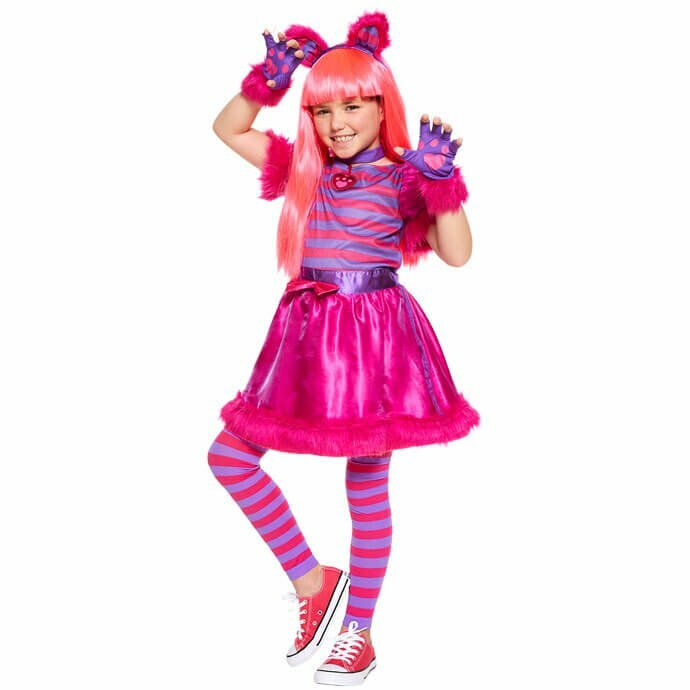 This Cheshire Cat outfit incorporates the character’s famous pink and purple stripes into this dress, tights and headband ensemble. We’ll leave it to your little one to add their own cheeky grin! This outfit is great for kids with a bit of a feisty side! The hot-tempered Queen of Hearts is certainly a fun villain to play for a day, and this make-up tutorial based on Helena Bonham Carter’s film portrayal will help complete the look. 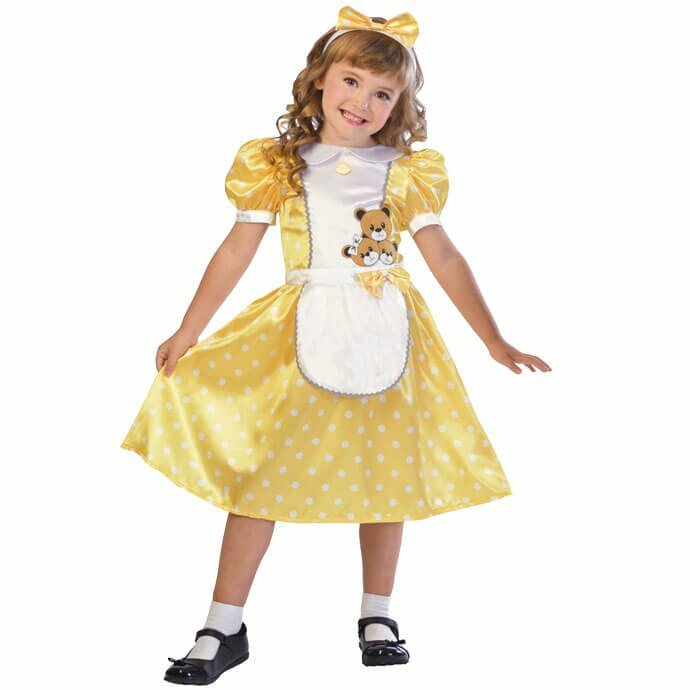 Tweedle Dum and Tweedle Dee might not be the most helpful characters Alice meets, but this outfit is certainly a useful answer to your World Book Day needs. It’s a particularly good choice for a pair of brothers or sisters. When it comes to The Wizard of Oz, you could argue that the film is more famous than the book. Indeed, L. Frank Baum’s novel is well over a century old. 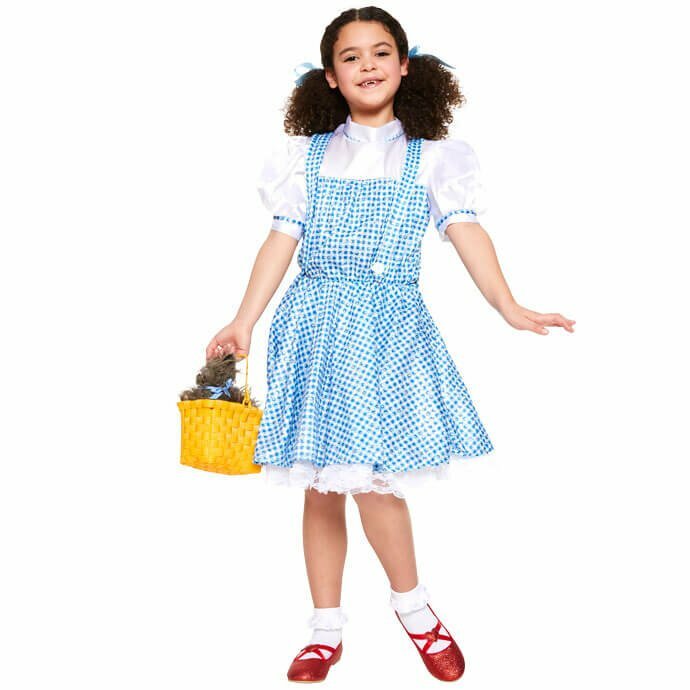 However, Dorothy and her travel companions remain as iconic as ever, so they’re great fancy dress options for World Book Day. We all know how much Dorothy loves being at home, but we’re sure she won’t mind spending a day at school! And what about Toto? Your child’s school is unlikely to be happy with a dog running around the classroom, but this fun fancy dress accessory comes complete with a cuddly pooch, so he won’t miss out on the fun! The Scarecrow might be missing a brain, but even he can see that this costume is anything but the short straw when it comes to World Book Day! 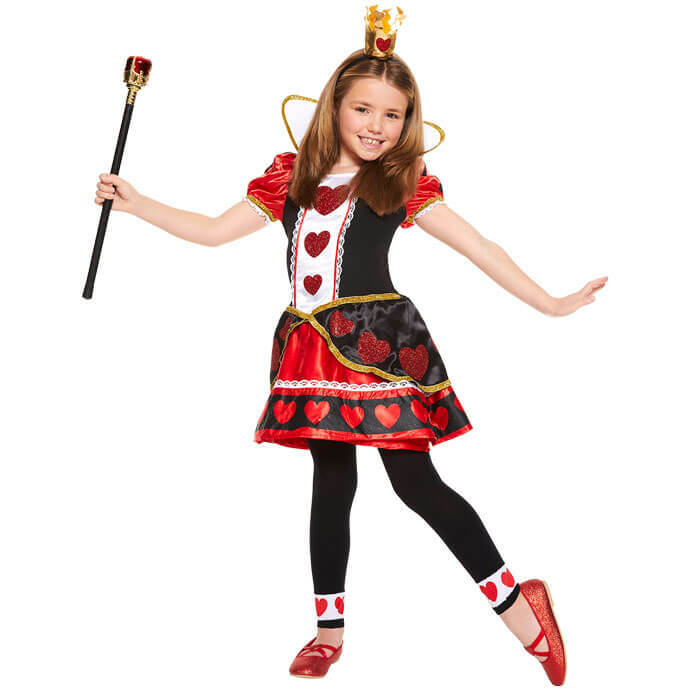 If you’re still searching for World Book Day fancy dress, why not follow your heart? 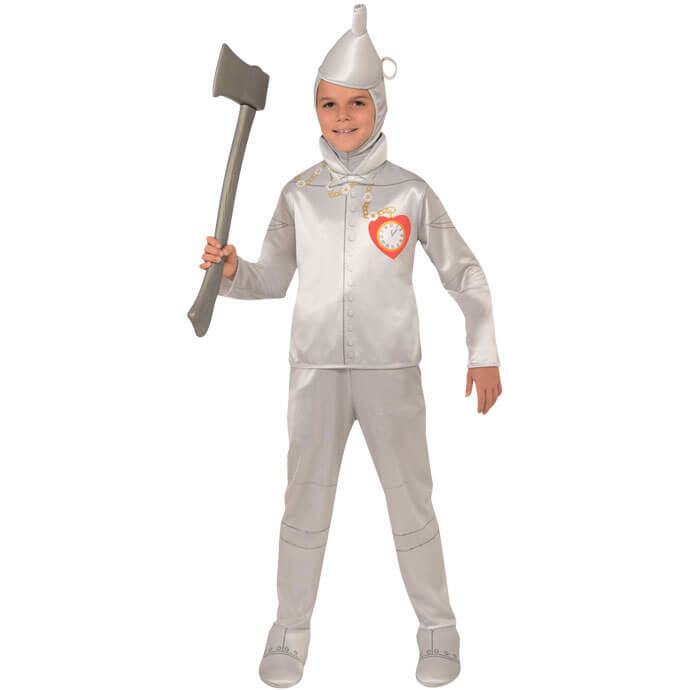 That’ll lead you to another of Dorothy’s friends – the Tin Man! 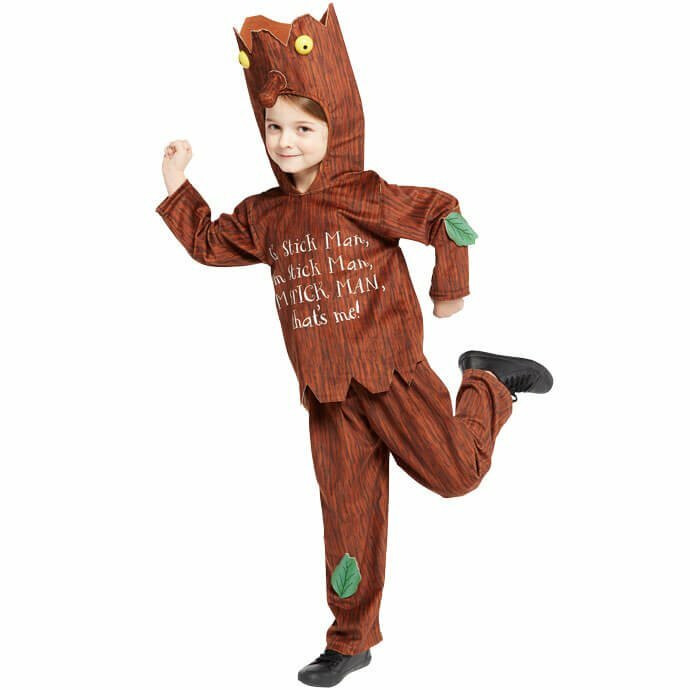 Last but not least from the Land of Oz, don’t be afraid to try something a bit different by dressing up as the Cowardly Lion! 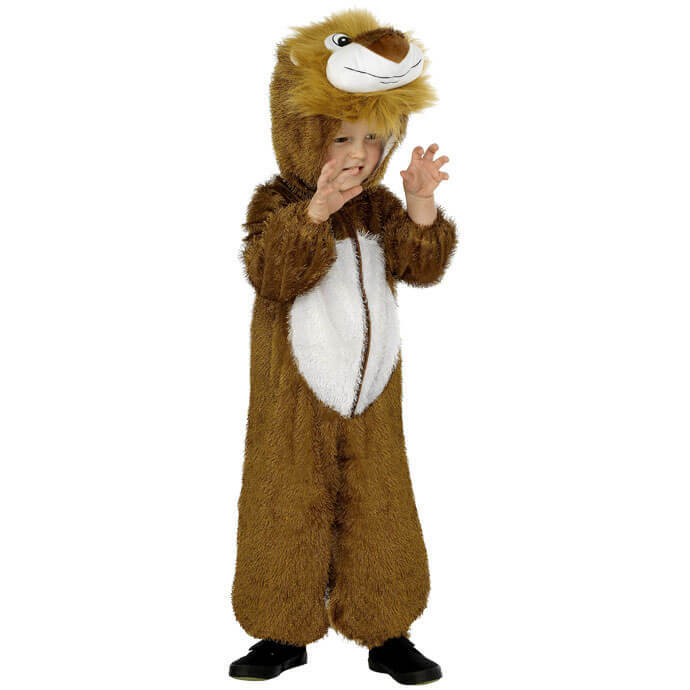 This lion costume works especially well if your child goes as part of a group with a Scarecrow and a Tin Man. Did you know that J.M. Barrie’s most famous work was actually written as a play seven years before it was a book? Peter Pan is such an iconic story, it’s no wonder that the brilliant characters are still popular over a century later! Let’s start with the boy who wouldn’t grow up! 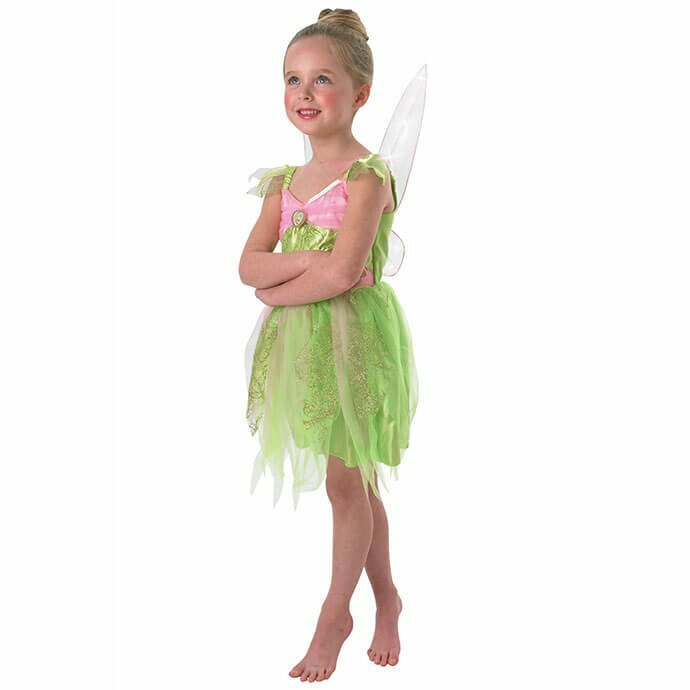 This Peter Pan outfit is so good, we reckon it’ll fly off the shelves! She might not have much to say for herself, but as Peter Pan’s sidekick, Tinker Bell is certainly an important part of the story. Oh, and did we mention this costume comes with light up wings? 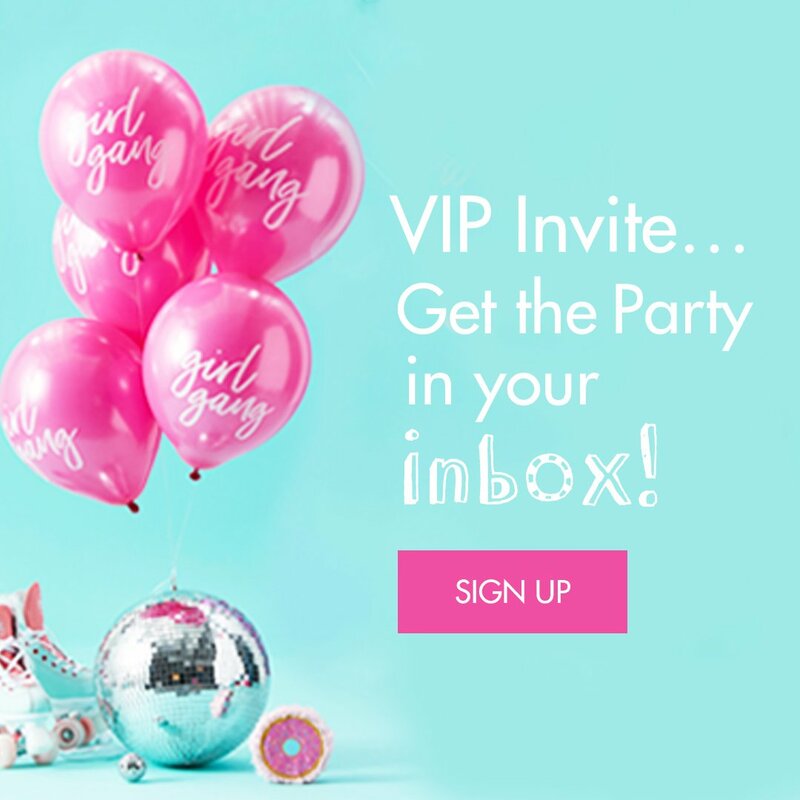 We’re pretty sure your little one will love that! He’s one of the country’s favourite pantomime villains, and now World Book Day has given Captain Hook another chance to shine! 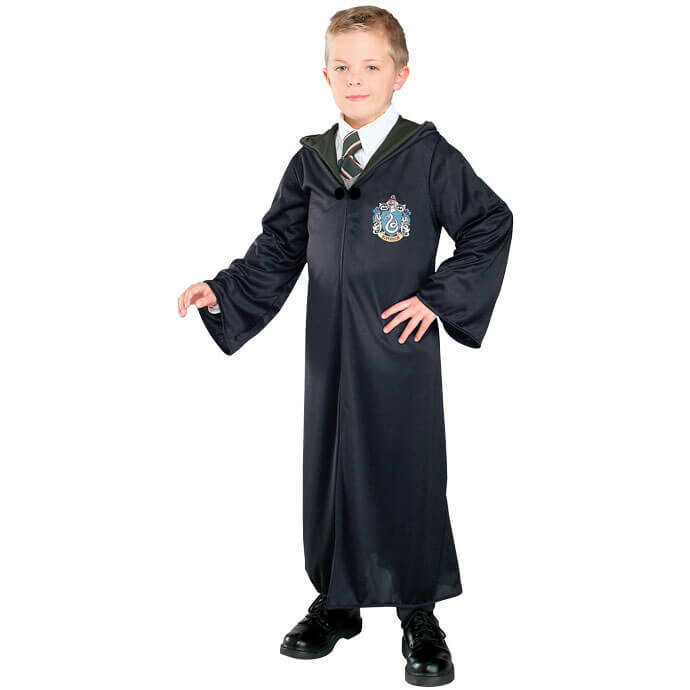 With his distinctive hooked hand, everyone will know who your child is dressed as straight away. 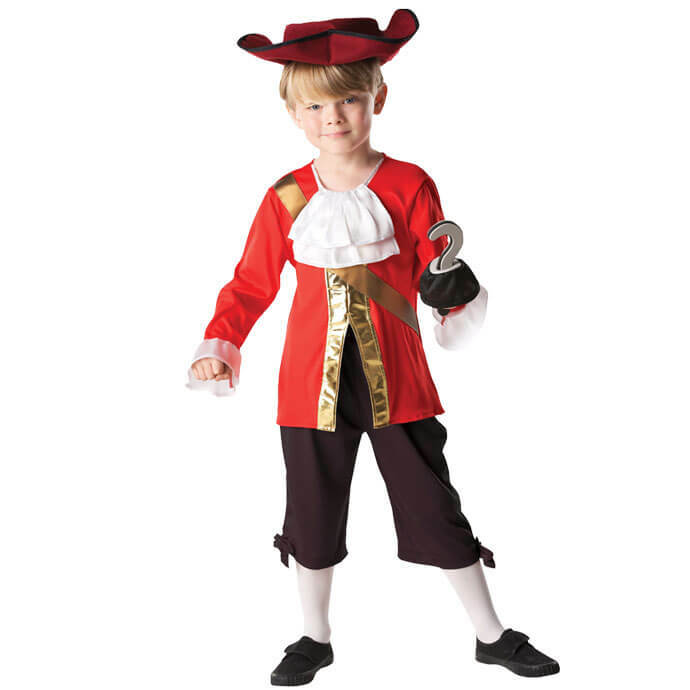 Plus, pirates are really cool, so your kids will love dressing up as one! While we’re on the subject of Captain Hook, he’s probably the only person who wouldn’t be a fan of this next costume! After Peter cuts off Hook’s hand and feeds it to the crocodile (wait, was this really a kid’s story? ), the hungry reptile follows him around for the rest of the book. 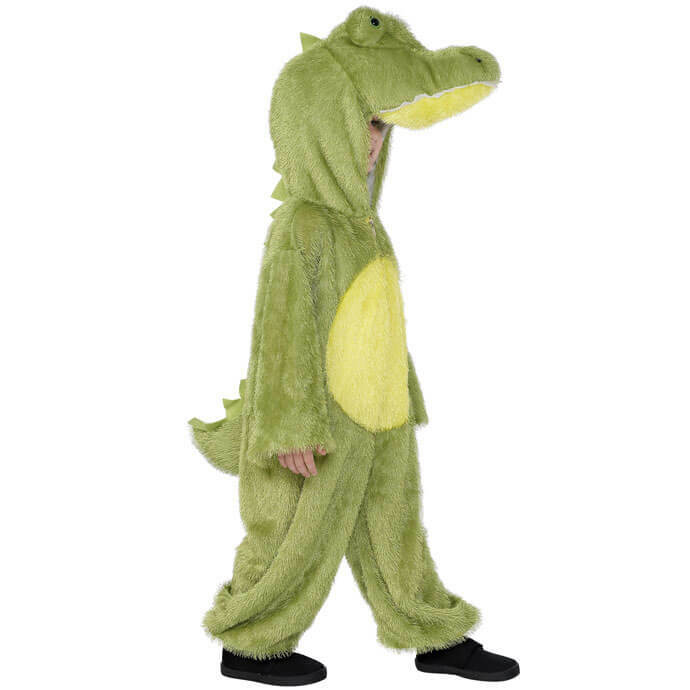 Of course, the crocodile also announces his presence with the sound of a ticking clock, but we don’t recommend making this part of your costume. Not unless you really want to wind up your child’s friends and teachers, anyway. Children’s literature is littered with iconic characters. Here are a few more of our favourites! What’s that? You want more ideas? Let’s start with Oliver Twist, star of the Dickens novel and one of the best musicals ever! 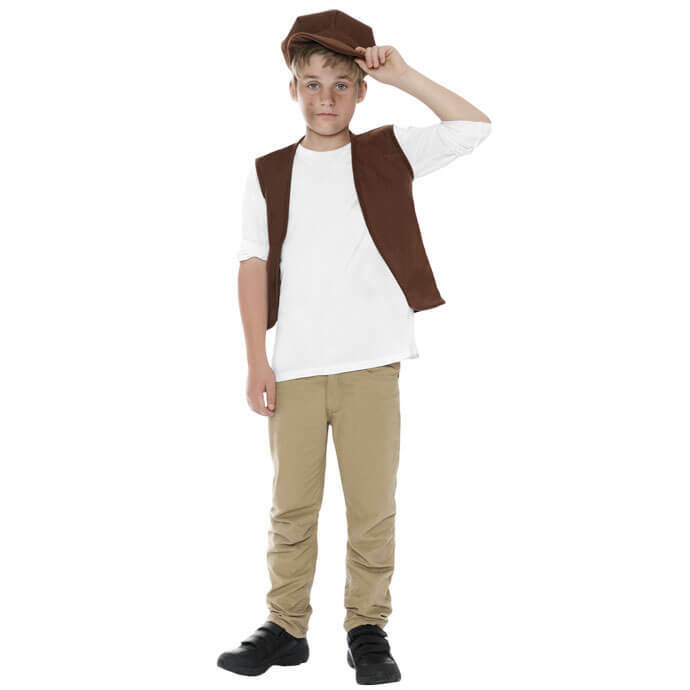 This is a simple dress-up kit that’ll give your child the hat and waistcoat needed to transform into a scruffy Victorian street urchin. 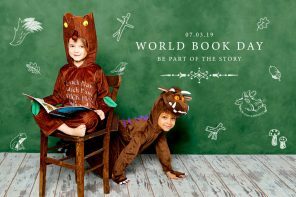 Consider yourself sorted for World Book Day! 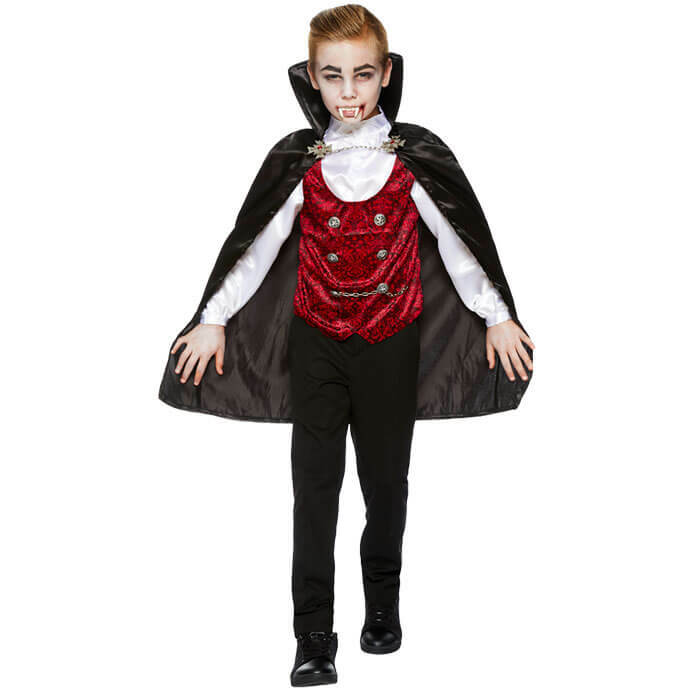 Halloween may be months away, but this is a spooky outfit that’s perfect for World Book Day. Unleashed by Mary Shelley in 1897, Count Dracula is the original and best vampire. Of course, vampires aren’t supposed to go out in the daylight, which explains why you don’t normally find them in schools. It’s probably best to get to the classroom early and choose a seat away from the window, just to be on the safe side. Five years before it became a Disney classic, 101 Dalmatians was a charming novel written by English author Dodie Smith. This quick and easy Dalmatian onesie will make a great World Book Day outfit, and you’ve got more than enough characters to choose from! We all have that friend who turns up unannounced and polishes off all the food and drink in the house. In Judith Kerr’s children’s classic, it just so happens to be a tiger! This costume faithfully recreates the author’s iconic illustrations, and it’s super comfy as well. 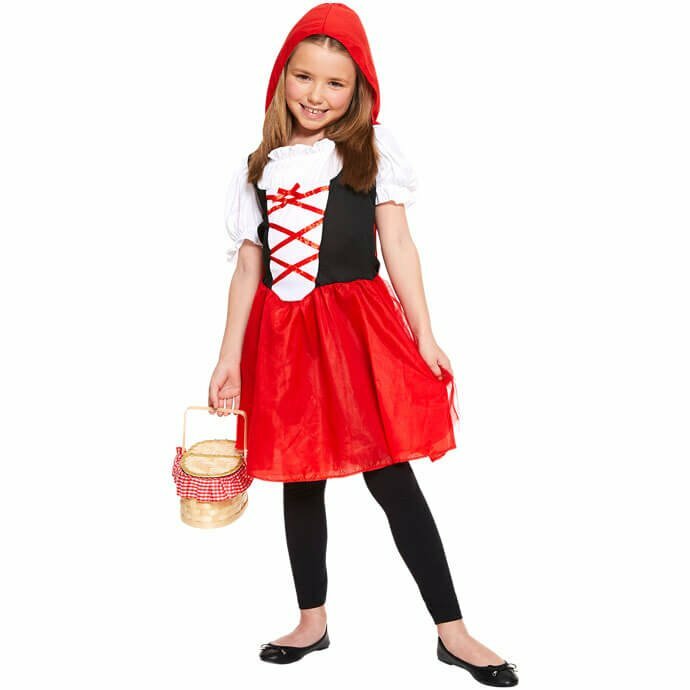 She might not be great at telling the difference between wolves and old ladies, but Red Riding Hood does at least wear a comfy, instantly recognisable outfit that’s ideal for World Book Day! 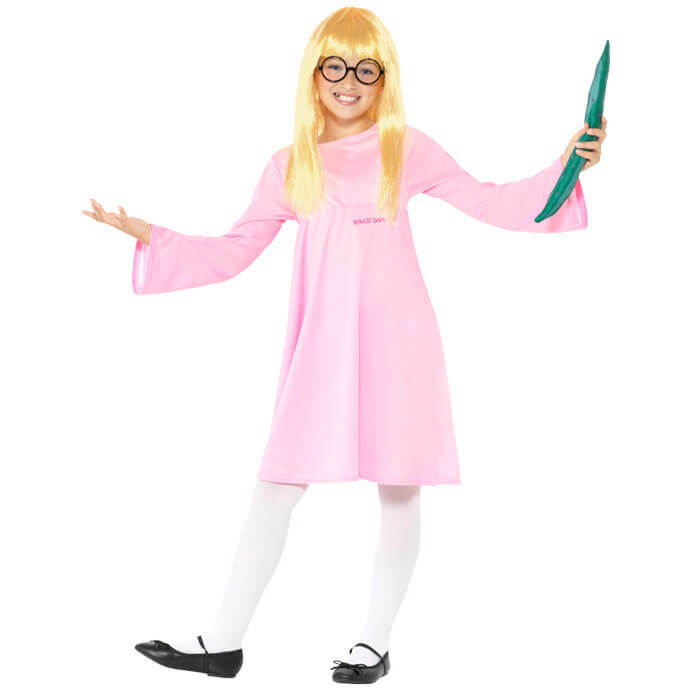 Here’s a World Book Day costume that’s just right! Did you know that the story of the Three Bears originally featured a grumpy old woman instead of Goldilocks? 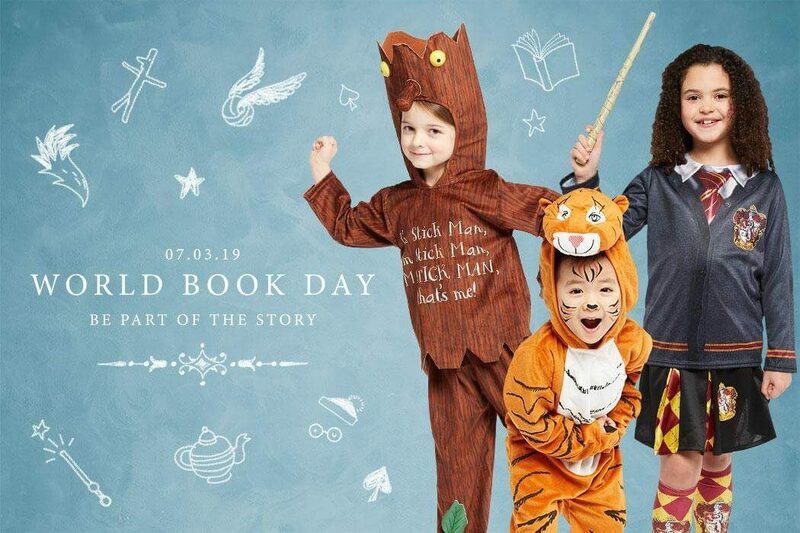 We know which version we prefer, especially when it comes to choosing a World Book Day outfit! 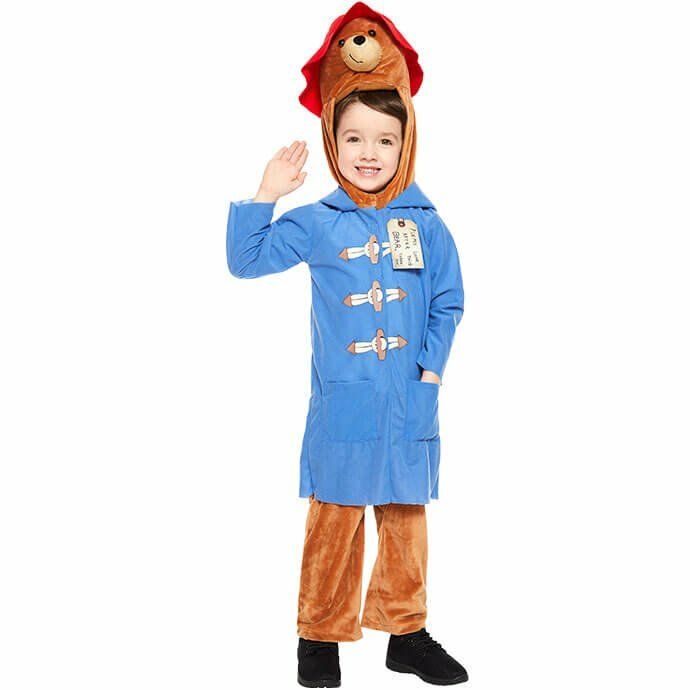 The star of more than 70 stories by Michael Bond, Paddington is easily one of the most popular children’s characters the UK has ever produced. This quick and easy jumpsuit comes complete with his famous duffle coat and red hat. Why not keep things on trend by serving toast and marmalade for breakfast? 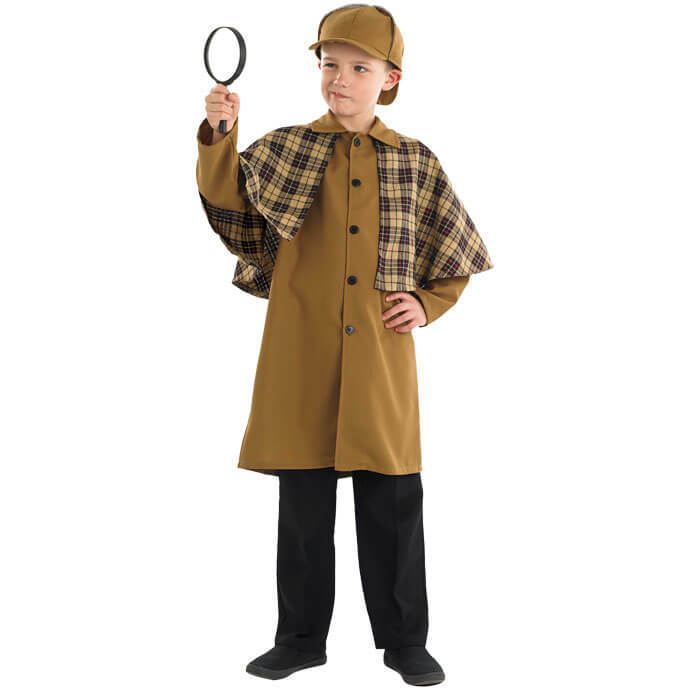 While the Sherlock Holmes books are better suited to older children, his frequent appearances in films and TV shows over the last few years have made the quirky detective popular with a brand new generation of fans. 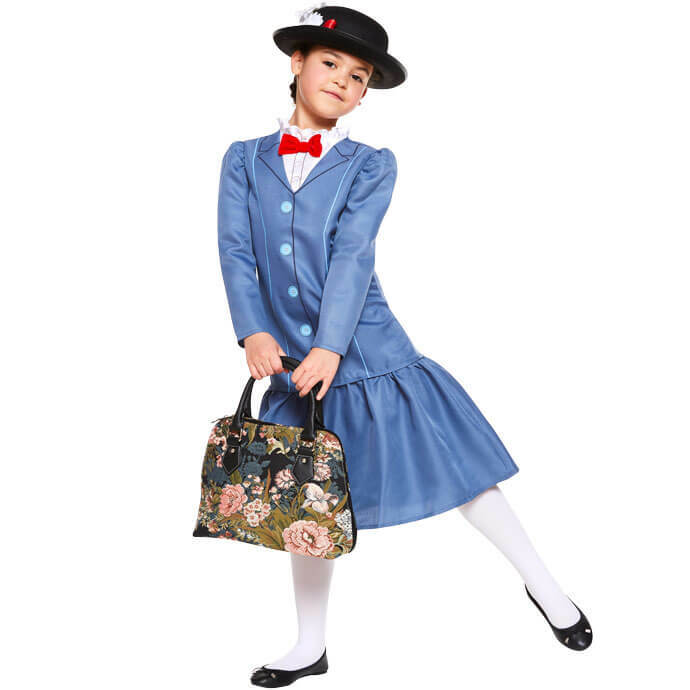 Let your kids take a jolly holiday from their usual school uniform with this smart Mary Poppins outfit. The most famous nanny in fiction is a great choice for World Book Day, particularly as she’s recently returned to cinema screens once again. One of the newest characters on this list, Katniss Everdeen is of course the heroine of Suzanne Collins’ Hunger Games trilogy. This detailed jumpsuit will ensure your child is the toughest tribute in town! 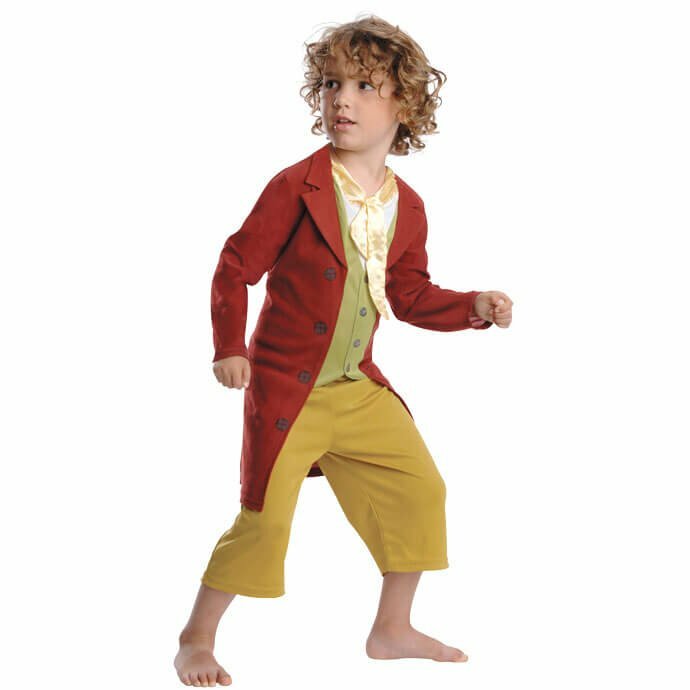 Take your fancy dress search on an unexpected journey back to The Shire with this wonderful Bilbo Baggins costume. Tolkien’s original hobbit paved the way for the iconic Lord of the Rings series, so he’s a pretty cool guy! Finally, we can’t talk about World Book Day without inviting Dr Seuss to the party. 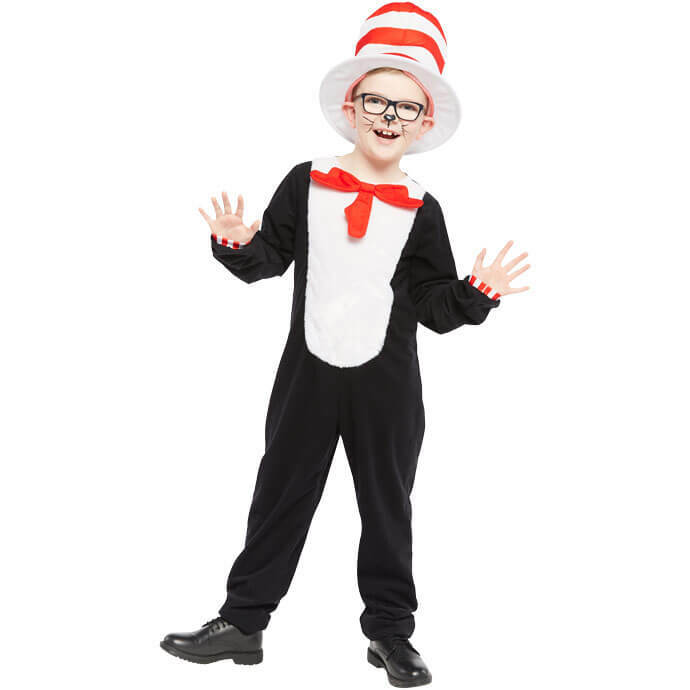 We think the Cat in the Hat is one of the most fun costumes for your kids to wear, and you can even make your own hat!